Nestled in a valley, encircled by forest, the town of Westline has a history of rich natural resources. 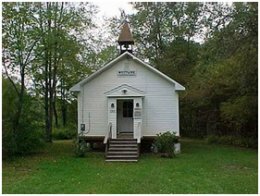 With a population of only 88 residents, there are more trees and wildlife than people in this idyllic community. Visitors can enjoy fly-fishing in Kinzua Creek, along with hiking or bicycling on the Kinzua Valley Trail. Winter sports include snowmobiling and cross-country skiing. 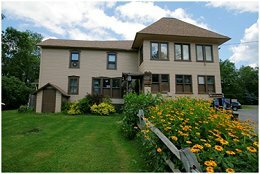 Westline Inn, once the Day family home, is now one of the area’s most unique dining destinations. In 1880, the Day family built a factory which turned timber into charcoal, wood alcohol and acetic acid. The office of the Day Chemical Company is now the large dining room and it still contains a massive, self-locking safe. The bar and casual dining areas was once a porch looking out on the gardens, and underneath is one of the first indoor swimming pools, once heated by the boilers of the factory. 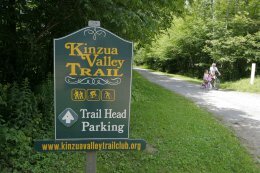 Kinzua Valley Trail, located along the banks of scenic Kinzua Creek, links Westline to Red Bridge Campground in the Allegheny National Forest.